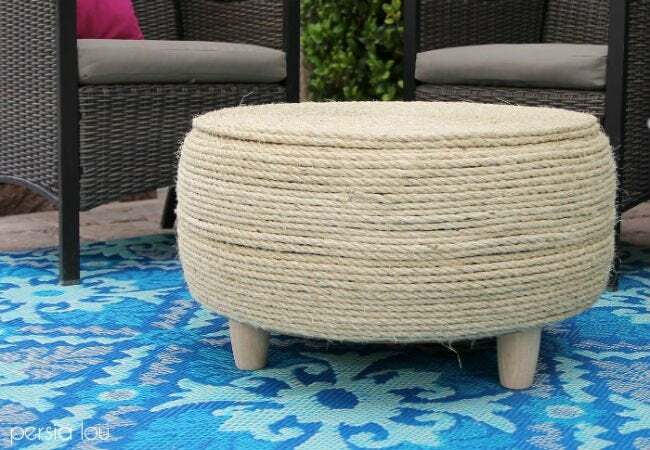 Serve up summertime essentials in style with this nautical-inspired—and incredibly inexpensive—rope-wrapped coffee table. 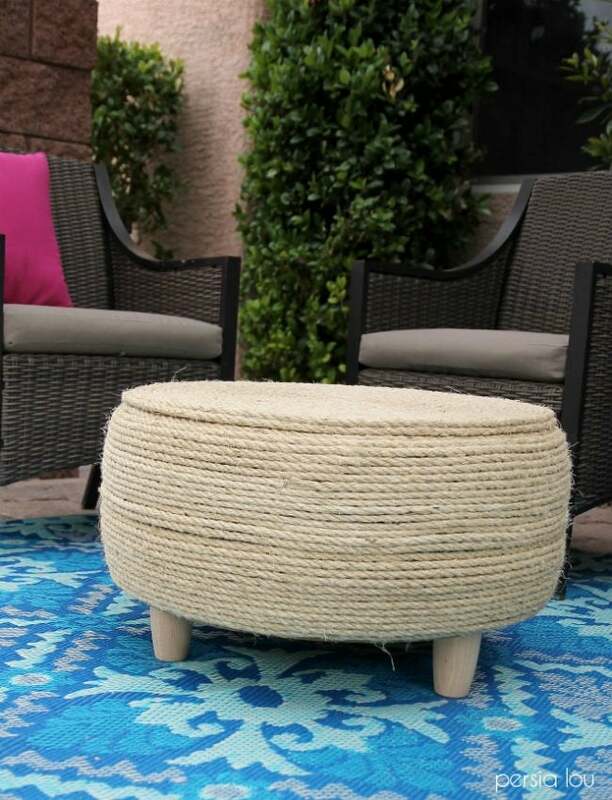 An outdoor room isn’t complete without decor, accents, and other finishing touches. For Alexis of Persia Lou, that meant the perfect coffee table to complement her bright colors and sunny fabrics. Remembering a few rope-wrapped versions she saw on Pinterest—and knowing that she had access to an old tire—Alexis went to work to DIY her own solution that would complete her vision. To start, Alexis gave the tire a good scrub. 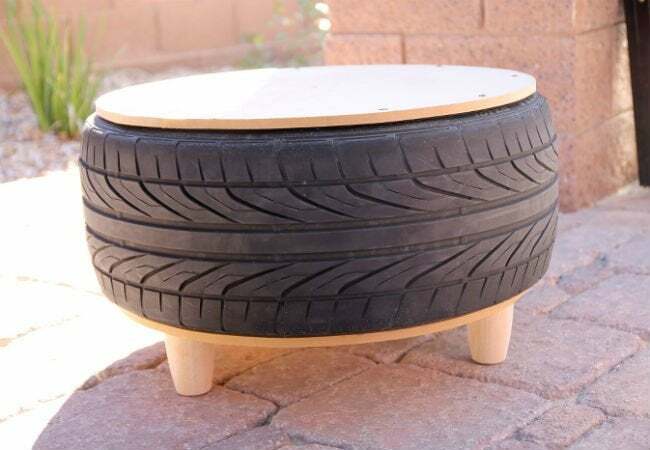 Then, she used a jig saw to cut two pieces of plywood in the same size diameter as the tire; she screwed one piece on top and the other on the bottom. Next, Alexis measured where to place her furniture feet and used a drill to create holes slightly smaller than the screws on the feet. She then twisted in the feet to complete the base. To add a nautical flair, Alexis began gluing the rope in a tight circle, starting in the center of the top piece of plywood. She continued wrapping the rope around the entire base until it was completely covered. Want to make one of these simple but stunning pieces for your own space? Visit Persia Lou for the full details, and for other crafty DIY ideas.